A mockumentary following two friends whose knack for subversive cross-stitch and Internet rants propels them to stardom. 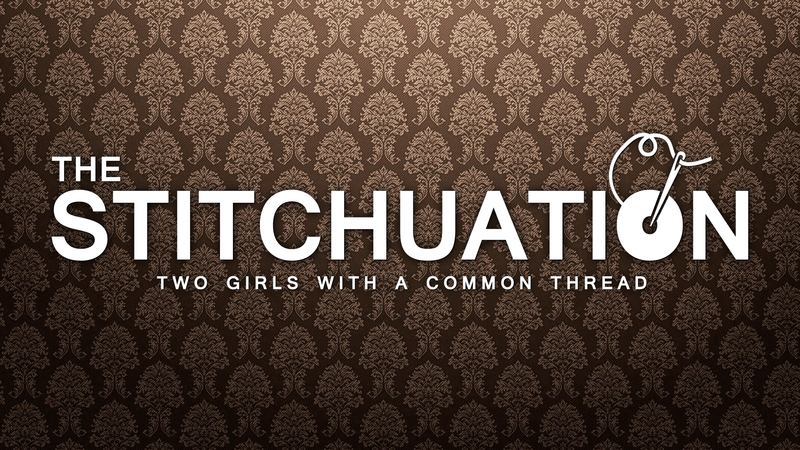 Disguised as a documentary, The Stitchuation is a comedic fictional account of two small town girls lacking social skills who make it big on social media after embarking on an online business selling their subversive cross-stitch. Millions of Do-It-Yourselfers tune in to watch their awkward, fumbling rants about the art and craft of edgy needlepoint. Jenna, a puffy paint, glitter glue enthusiast is the artisan behind the embroidered pieces and Becky, a cat loving, tea drinking, germaphobe, handles the business side. Needle and thread comes to a head when their tightly knit friendship comes apart at the seams and each woman is forced to face certain situations in their lives. Both Jenna and Becky must overcome their fears to continue to reap what they sew after they sew what they rip. 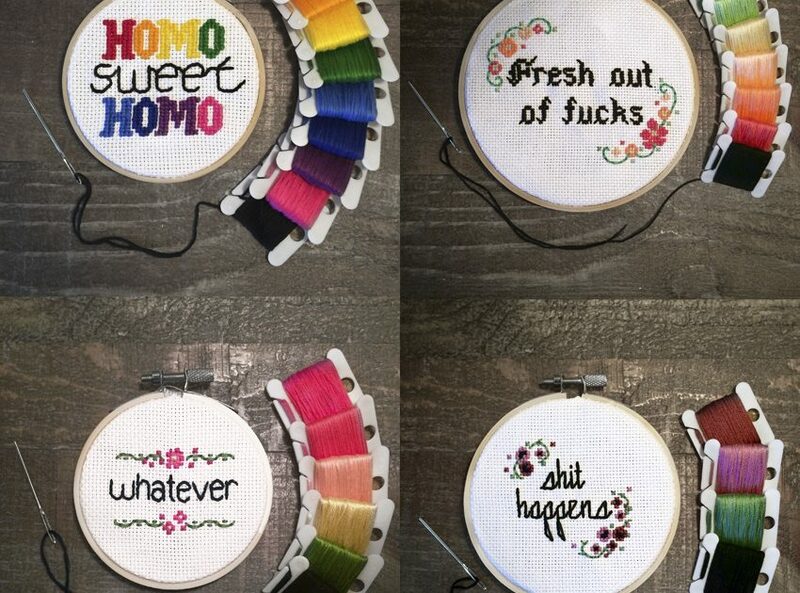 is an innovator of controversial cross-stitch. She’s considered a leader in the ‘made-by-me movement’ appealing to hipsters which is driving a cultural boom in all things knitted, hand-sewn, superglued and welded. Jenna enjoys playing with sharp objects in her immaculately organized crafting closet (which her LGBTQ fans desperately want her to metaphorically ‘come out’ of). Her needle work, ability to talk about nothing for long periods of time, and personal fashion sense become a signature style thanks to the social media skills of her roommate/business partner and best-friend-forever Becky. is a cat loving, tea connoisseur who was raised by her Grandma and looks to Martha Stewart as a patron saint. She is an accidental social media genius who drools over wallpaper magazine, knitted cell phone cozies, and of course, cross-stitching. Becky and Jenna have been inseparable since 6th grade Home-Economics class. Becky’s always been a germaphobe, but after the death of her Grandmother (and inheriting the house, car and three cats) is struggling with anxiety. She won’t leave the house, not even for craft supplies where she can visit Mike, a craft store employee who she has a crush on. 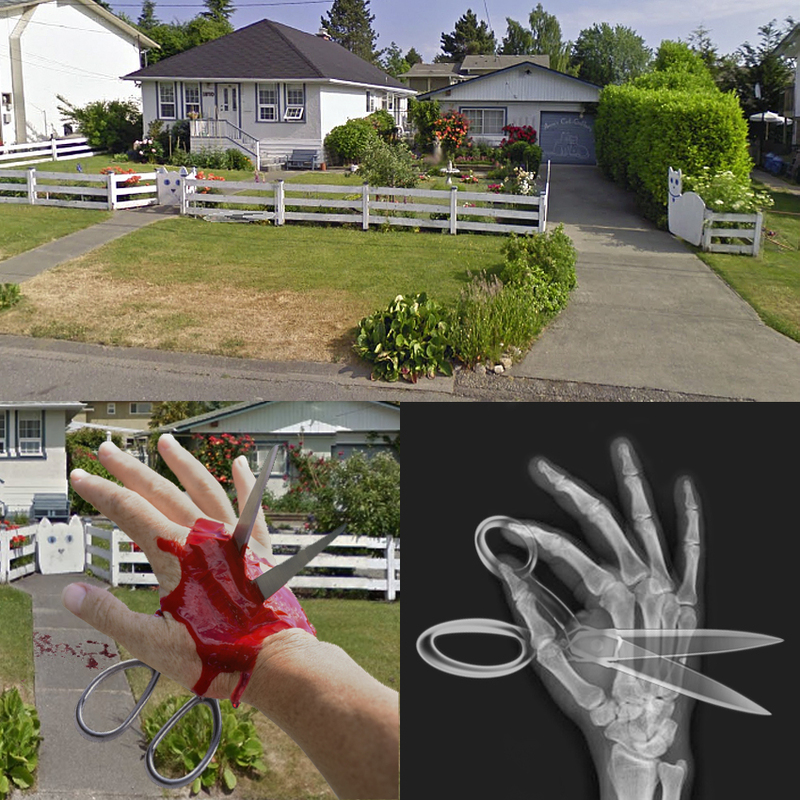 is a boyknitting hipster who loves mini-golf, breakfast for dinner and will go into survival mode if tickled. He is the store manager at one of North America’s largest art and craft supply stores where Jenna and Becky often visit for their crafting supplies. A while back he once house sat for Becky caring for the three cats: Mary, Nate and Ashley. Mike has developed a huge crush on both Jenna and Becky. Since Jenna is the one he sees the most purchasing the craft supplies, he’s been working up the courage to ask her out on a date. is made up of three people. You will see and hear them but they have very minimal acting roles. LYNN is a caffeine dependent lifeform, living vicariously through herself and who is an aspiring journalist and film director. KELLY is a documentary film maker who lives and breathes film. If she’s not making films, she’s watching films. And if she’s not watching films, she’s probably eating bugs while riding her motorcycle on the open road. JARED is the paid help who holds the boom and has no idea what he’s doing. Sleeping is his drug, his bed is the dealer, and his alarm clock is the police.